It is cloudy and raining in my little haven. I will say the unthinkable. We do need some of this wet stuff. However, it does dampen the mood. Well, I was already in that mood so it just helps surround it. I am neither happy, nor sad. I just am today. I am trying to be upbeat and hoping that this day moves quickly so that I will soon be in my car on my way home. The hopes and dreams of a Friday. Isn’t it funny. No matter what age we are Friday is always the day for wishing. Wishing you did not have to get up, Wishing you did not have to leave the house. Followed by a whole day of wishing it was time to return to said house. Days like today make perfect date nights. I shall plan an evening at home. Alfredo and a humorous movie! Great, now I want the day to go even FASTER!! Too scared to think about this. To scared to wish. You know the feeling? You are late and you think, is that a twitch. What is that. Is my cycle coming. Is this a sign…..Or am I pregnant. Is this really it this time. After almost four years of tracking everything. 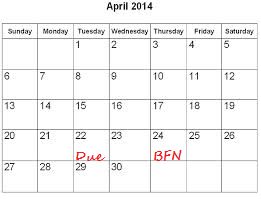 I have seen a lot of BFN’s. I have only seen one BFP. I had a couple of faint BFP’s but only one that was holy crap that thing has TWO LINES. Sunday is my son’s birthday. It is too much to wish that I would get a BFP on that day. Too meaningful. So, for now I will continue to ignore the huge calendar in my binder. You know, the one that has my entire TTC journey on it. I am ignoring it. It doesn’t exist. Let’s just hope I do not need to take it out and mark an x to complete this cycle and start a new one for the beginning of the 26th cycle since we started TTC after losing our son.